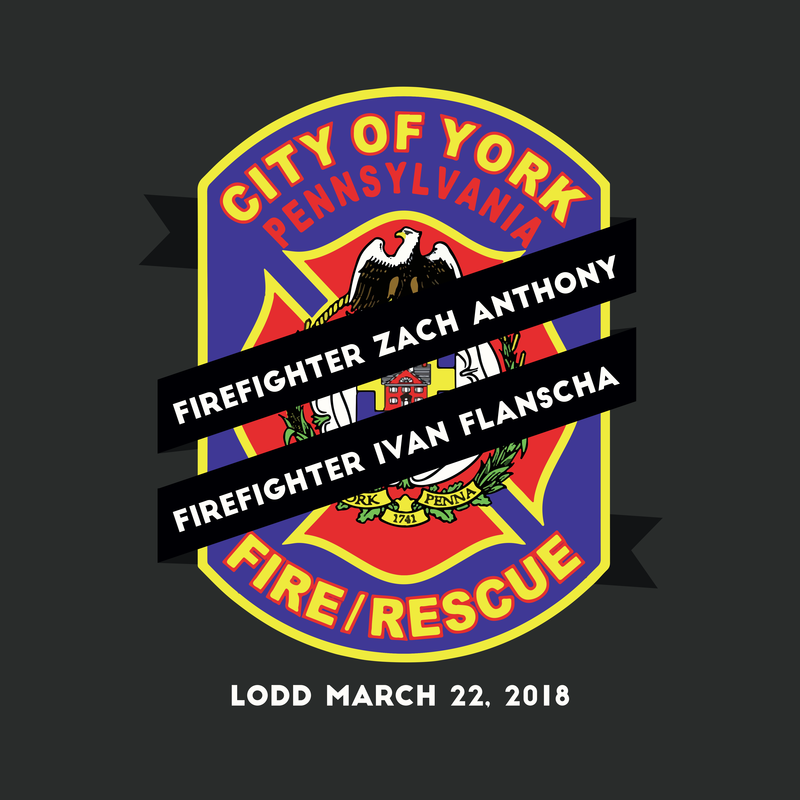 York City firefighters Ivan Flanscha and Zachary Anthony were killed in a building collapse when investigating the aftereffects of a fire at the former Weaver Organ and Piano factory building on March 22, 2018. Their deaths marked a tragic day in York’s history, one that must never be forgotten. The York Professional Firefighters Association, York Elks and Froggy 107.7 decided to not only honor their memory but also the memories of 35 York firefighters who sacrificed their lives in service over the past 100 years. Their efforts resulted in a benefit to be held on Sunday, November 18, at 7 p.m. at the Capitol Theatre at the Appell Center for the Performing Arts in downtown York. Although a GoFundMe fundraising effort raised money in support of their families after the incident had occurred, other firefighters were concerned that the names Ivan Flanscha and Zachary Anthony would be lost to time. To uphold their legacy and keep their acts of service alive forever, the Fuel Their Fire Annual Scholarship began. Two scholarships, one named after the two fallen heroes and another named for all emergency responders who have died in the line of duty, will be awarded to two individuals who want to pursue a career in emergency services. By dedicating a scholarship to them, the Fuel Their Fire Fund hopes to keep these heroes in the hearts and minds of citizens and help support training for future firefighters and emergency responders. One evening, the B.P.O.E. York Elks Lodge #213 decided to brainstorm ideas about what they could do to honor York’s heroes in perpetuity. The Elks and co-chairmen Michael Connor and Michael Gilmore recommended an annual benefit concert. As they continued to develop the event, they reached out to other people who shared their passion. For both individuals, it seemed like luck that they had the opportunity to work alongside Scotty Denato of Froggy 107.7 FM, which was able to secure country musicians Scotty McCreery, Carly Pearce and Kayla Kroh in a short amount of time. “It was great fortune that it was just a couple of conversations that happened at the right time with the right people and people with good hearts wanted to do something,” Gilmore says. Despite the stage not even being set, the community has already shown its enthusiasm for the event. Within the first couple of minutes of being released, VIP tickets were sold out and general admission tickets are going fast. To Marc Ott, vice president of the York Professional Firefighters Association, the concert will be a night of fun, one that represents the York pride and spirit. With tickets going fast and several businesses sponsoring the event, Marc is happy to see everyone getting involved to show how the community cares and will remember its fallen heroes. Tickets for this concert can be purchased at the Appell Center for the Performing Arts. If you can’t make it to the concert but want to support the cause, you can purchase some merchandise at www.fallenfirefighters.net.